The BSE IT index was trading at 14482.56, down by 129.35 points, or by 0.89 per cent, after touching an intra-day low of 14,409.61 in early hour of the day's trade. 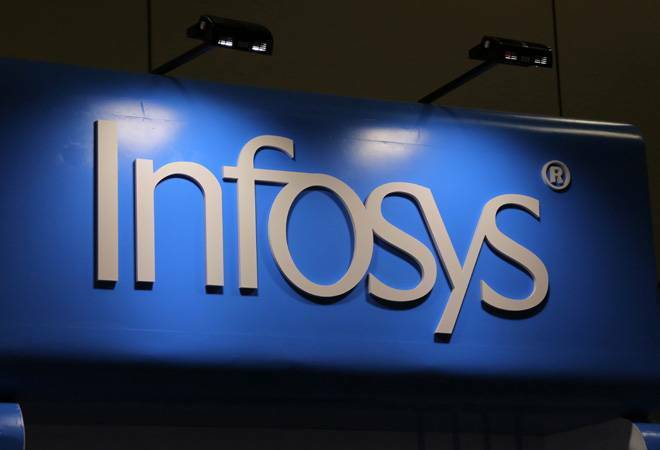 Shares of information technology (IT) companies were trading in negative terrain on Tuesday, with Index heavyweights Infosys and Wipro falling between 1-2 per cent, after sharp sell-off on the Wall Street in overnight trade. The BSE IT index was trading at 14482.56, down by 129.35 points, or by 0.89 per cent, after touching an intra-day low of 14,409.61 in early hour of the day's trade. Across the IT space, 20 out of 30 stocks were trading in negative terrain. Shares of IT bellwether Infosys was among top laggards on the BSE, declining as much as 2.43 per cent to touch an intra-day low of Rs 676.65 apiece on the Bombay Stock Exchange, after opening marginally higher at Rs 694.00 against previous closing of Rs 693.55. In a similar trend, stocks of the company were trading at Rs 680.95, down 1.94 per cent on the National Stock Exchange. Among others, MindTree Ltd. (Rs 844.00, down 3.07%), Larsen & Toubro Infotech Ltd. (Rs 1709.50, down 2.25%), Cyient Ltd. (Rs 620.00, down 2.20%), NIIT Technologies Ltd. (Rs 1135.00, down 1.85%), were notable losers. According to market analysts, investor sentiments were dented by rising concerns about slowing economic growth and an appreciating rupee which could erode margins of IT companies. Investors also remained wary ahead of the Fed Statement as the Federal Reserve is expected to take a call on interest rate hike in the meeting. The Federal Open Market Committee (FOMC) is scheduled to meet on Tuesday and Wednesday.